Can Green Tea Combat Cancer? Drinking green tea is often touted as a natural approach to reducing your cancer risk. Indeed, green tea is exceptionally high in antioxidants, which could theoretically combat cancer by neutralizing free radicals (chemical by-products known to damage DNA). While research on the effects of green tea on the development and growth of cancerous tumors in animals has been promising, studies in humans have yielded mixed results so far. Green tea consumption may have a protective effect on oral cancer, according to a report published in Oral Oncology. Researchers analyzed 19 previously published studies involving a total of 4,675 people and found evidence of an association between green tea consumption (but not black tea consumption) and oral cancer risk. In another published review, investigators analyzed 51 studies (most were observational studies) with a total of more than 1.6 million participants. Results revealed "limited to moderate evidence" that green tea consumption reduced the risk of lung cancer, especially in men. The review's findings also suggested that green tea consumption may be linked to reduced risk of prostate cancer. However, evidence for green tea's effects on other types of cancer was either limited or conflicting. Some research even indicated that green tea consumption may actually increase the risk of bladder cancer. In another research review published in the British Journal of Nutrition, investigators analyzed 18 previously published studies. 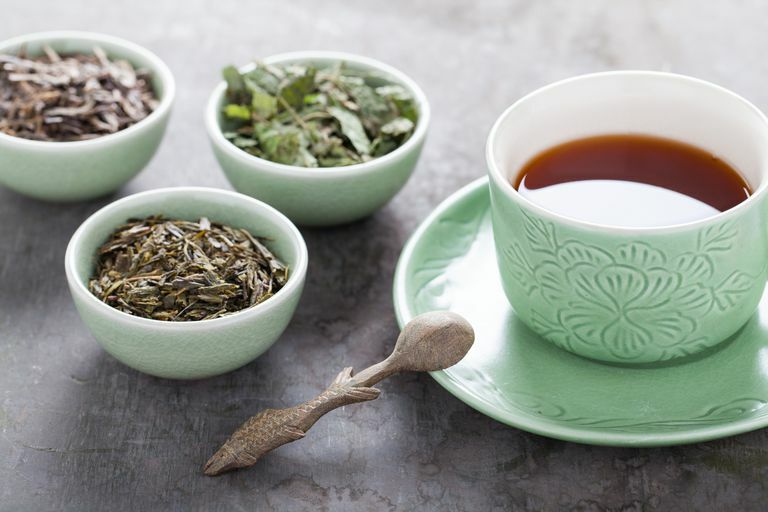 Green tea consumption was significantly inversely associated with a five percent lower risk of cardiovascular disease and all-cause mortality, but not with mortality from cancer. Published in the Annals of Epidemiology, a prospective study following 90,914 people in Japan found that green tea was inversely associated with mortality from heart disease and mortality from cerebrovascular disease and respiratory disease in men. No association was found between green tea and total cancer mortality. As a whole, the evidence that green tea consumption can reduce the risk of cancer is conflicting. Large-scale clinical trials—the kind of research you want to see to put full stock in a treatment—need to be conducted before drinking green tea can be considered an effective strategy to reduce cancer risk. Although it can be discouraging to hear that there is no clear answer yet, researchers do state that green tea appears to be safe for most people when consumed in moderate amounts. Drinking green tea may offer other health benefits, including reduced risk of stroke and periodontal disease. If you're considering drinking it regularly, be sure to consult your healthcare provider first to discuss whether it's appropriate for you. People with certain conditions and those taking medications such as bortezomib may have to avoid it. To reduce your overall cancer risk, be sure to get routine cancer screening tests, follow a balanced, healthful diet that includes plenty of fruits, vegetables, and other foods from plant sources, maintain a healthy weight, exercise regularly, and avoid smoking. Boehm K, Borrelli F, Ernst E, Habacher G, Hung SK, Milazzo S, Horneber M. Green tea (Camellia sinensis) for the prevention of cancer. Cochrane Database Syst Rev. 2009 8;(3):CD005004. Saito E, Inoue M, Sawada N, et al. Association of green tea consumption with mortality due to all causes and major causes of death in a Japanese population: the Japan Public Health Center-based Prospective Study (JPHC Study). Ann Epidemiol. 2015 Jul;25(7):512-518.e3. Tang J, Zheng JS, Fang L, Jin Y, Cai W, Li D. Tea consumption and mortality of all cancers, CVD and all causes: a meta-analysis of eighteen prospective cohort studies. Br J Nutr. 2015 Sep 14;114(5):673-83. Wang W, Yang Y, Zhang W, Wu W. Association of tea consumption and the risk of oral cancer: a meta-analysis. Oral Oncol. 2014 Apr;50(4):276-81. Can Amygdalin (Vitamin B17) Beat Cancer? Can These 4 Remedies Help With Prostate Cancer Prevention? Can Vitamin D Supplements Defend Against Cancer?